Whoever managed to come up with the concept for Detective Pikachu deserves real respect for being a mad genius. You look at Pokemon, and everything the franchise has been over the years, and of all the spin-offs you could think of, the last that you would expect would work would be one that casts pikachu as a gruff-voiced detective that can speak with both humans and pokemon alike, and solves problems not with an electric zap, but rather a magnifying glass and the powers of deduction. But here we are in 2018, and here we have Detective Pikachu. If it's not immediately obvious on premise alone, this is a game that aims for wall-to-wall humour rather than offering anything too deep and meaningful, but thankfully, for the most part, it all comes together nicely. Much of the game's humour centres around the character of the Detective, and he's hilarious. He actually plays the role of Watson to your rather bland Sherlock, but steals each and every scene he's in. The game is structured as a series of "crime scenes" where you'll need to track down evidence and then put clues together to figure out a solution, whether that be whodunit, or to deduce where the trail of breadcrumbs is to the next mystery. Every so often, as you explore an environment, Pikachu will jump up and down, desperate to get your attention so that he can impart some great detective wisdom on you. There are shades of Navi from Ocarina of Time in Pikachu's behaviour (i.e. he can start clamouring for your attention at an irritating frequency), but the visual of Pikachu jumping up and down, waving for your attention never gets old. His bits of wisdom are as often comic relief than they are anything helpful, too. Yes, he's that kind of sidekick. 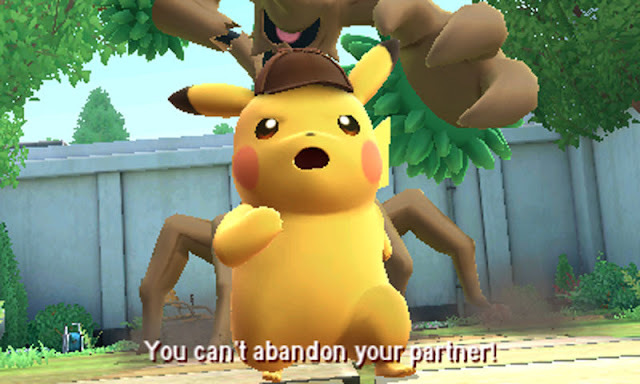 Pikachu has good intentions, and often does come through in a pinch, but in those quieter moments he tends to bumble around, tripping over himself (sometimes literally), and giving you hints and tips that just make you want to shake the guy and yell "thanks for the elementary advice, Watson." It is clever writing, though, and delightfully subversive to the whole pokemon mythos at times. In one particular scene, the duo come under attack by a pokemon that has been rendered mad in anger, and the protagonist yells at Pikachu "Pikachu, use thunderbolt," to which Pikachu responds drolly "don't tell me what to do." In fact, the entire game promotes a more healthy relationship between pokemon and humans than slave and master, and without wanting to sound too much like a PETA spokesperson here (because I'm assuredly not), that's a very good thing indeed for the series. The more symbiotic relationship between pokemon and humans in Detective Pikachu gives the game a subtly different tone (distinct from the humour) where the world simply feels nicer. Humans love pokemon without squashing them into little magic balls, pokemon are helpful of their own free will. It's a nice place to be - and given that Detective Pikachu is predominantly aimed at a younger audience - it's the kind of wholesome entertainment that really shows the positive side to the games media that we often lose sight of. Because the game is aimed squarely at a younger audience, Detective Pikachu's core gameplay loops - the process of detection - are kept logically simple and are generally quite easy. But, at the same time, the developers have got absolutely everything right in providing a detective story; there's always a greater mystery at work, underpinning each of the smaller cases and puzzles that the dynamic duo solve along the way. Each smaller case and puzzle has red herrings to sort through in order to arrive at the solution, and that's something that a lot of other "mystery" games tend to eschew these days in the name of a more linear experience. 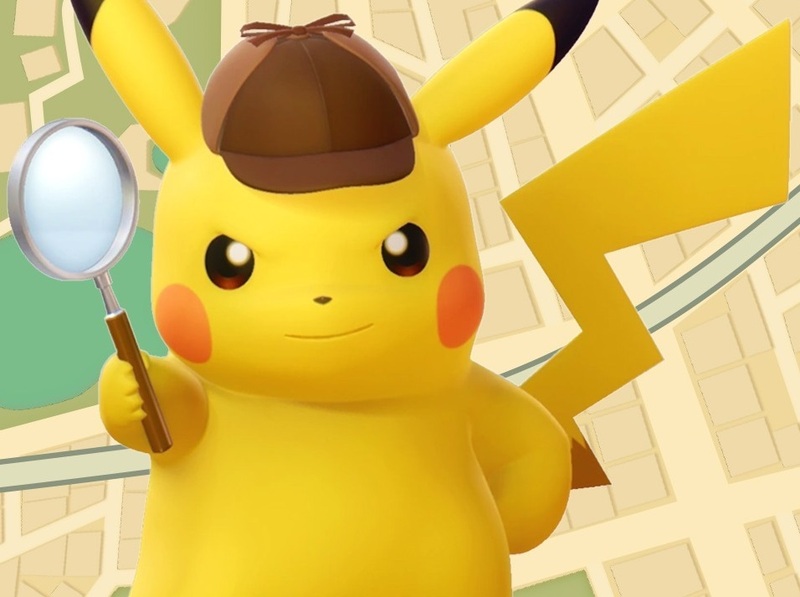 I prefer my detective stories with the red herrings, and it makes Pikachu's Sherlock Holmes-like outfit all the more appropriate to the game. 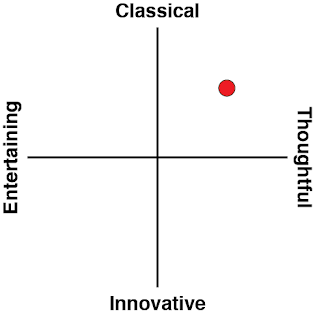 It did deserve better than to be a 3DS title, though. 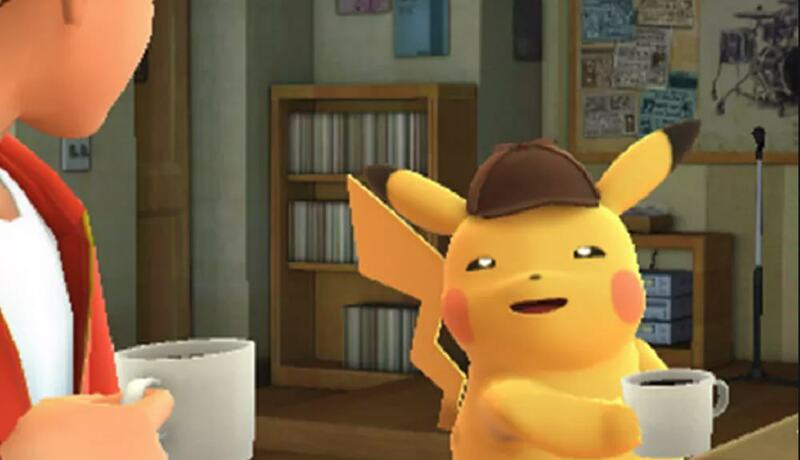 While Detective Pikachu looks as good as anything the 3DS has produced - eschewing the console's 3D graphics to instead eke the most out of the hardware as possible, the limited resolution of the screen invariably means that detail is lost, and as pleasant as the characters and world look, it's hard not to wish the game wasn't on legacy hardware. I know that this is one particularly high profile title that Nintendo is using to prove that it's still committed to the 3DS, but it saddens me that something that would have been so delightful on the Nintendo Switch has been sacrificed to make that happen. Fingers crossed for a sequel. Detective Pikachu won't tax players who are old then 12 years, and while under normal circumstances that would be a problem, in the context of a game as genuinely humorous and personality-rich as this one, it doesn't really matter. 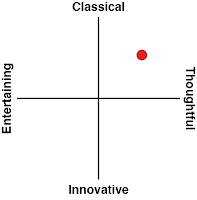 It's a relaxing, joyful, clever and witty little game that really makes the most of its oddball concept. Most importantly of all, it's memorable. You're not going to forget your time with Detective Pikachu in a hurry, and those memories are going to be all very positive.